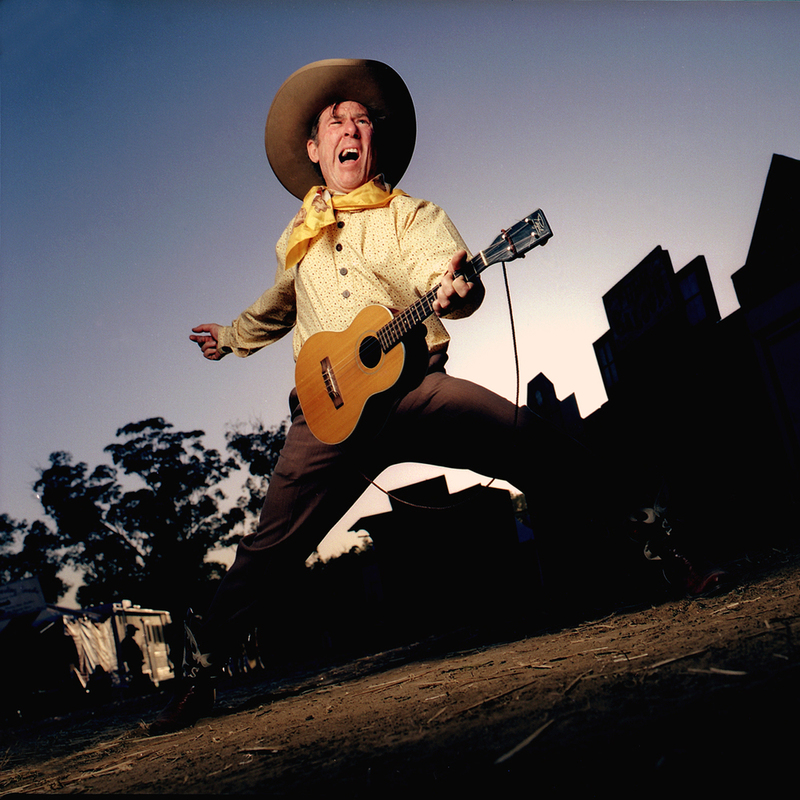 Sourdough Slim is a regular performer at the National Cowboy Poetry Gathering, entertaining the audience with his humorous songs and anecdotes. Tamara Kubacki tries to get beneath the comic exterior to find out what drives Rick Crowder to perform as Sourdough Slim and how he so easily taps into everyone’s playful side. Note: All of the music samples are from Sourdough Slim and Robert Armstrong's newest release, Oh, Sweet Mama! TK: The tagline on the bio found on your website, sourdoughslim.com, is “Last of the Vaudeville Cowboys.” Can you explain that? TK: When did you discover that you have a knack for tapping into the joy of music? Both your humorous songs and other traditional and old-time songs bring a smile to everyone’s faces. Where do you find that magic? SS: I guess I am a natural born ham. I realized at an early age that I was blessed with a gift to make people laugh. I love playing music and entertaining. When you’re having fun on stage it just naturally spills out into the audience. Of course 40 years of entertaining and honing your stage-craft in front of every kind of audience imaginable helps too. TK: You also write original songs. Are all of them inspired by the music of the past? You grew up on a ranch outside of Hollywood. Are any of your original songs drawn on your childhood experiences? SS: My fascination and passion for the music and culture of early 20th century America is a big influence on Sourdough Slim. Although I was born in Hollywood, I did spend a considerable amount of my childhood on our 700 acre family cow ranch in the Sierra foothills of Northern California. Many of the songs I have written have come from my memories of that time in my life. "In Old California," "I Am A Yodeling Cowboy" and "Ridin' High, Singin' A Song" to name a few. TK: A lot of the musicians who play in Elko are influenced by the music from the past. Why do you think that the history of cowboy music is important to the music you are playing today? SS: The old cliche "In order to know where you’re going, you must first know where you came from" comes to mind. I think it is important to make available a link to the origins of cowboy music and culture for anyone that is interested. TK: Speaking of other musicians, most of the other solo musicians performing at the Gathering play the guitar. You play the guitar, but you often play the accordion instead (you also play its cousin, the harmonica). When did you learn the accordion, and why is it featured in your performances? SS: I have always liked the sound of the accordion. It wasn't until 1988 that I bought one and taught myself how to play it. Many people are not aware that the accordion was a featured instrument in most cowboy bands of the 1930s and 40s. I like the full sound and musical possibilities. It's like a one instrument band. You can play the bass, melody and chords all at the same time. Not to mention what a cool Western fashion statement it is. TK: At the Gathering, you usually perform solo, but you have played with Robert Armstrong and often jam or perform with Dave Bourne. How does your performance change when you play with other musicians? How do these two musicians complement your music (or vice versa, how do you complement their music)? SS: Robert and Dave are both passionate about the same music from the same time period as I am. There is a shared joy and reverence for this music when we play together. We play a lot of the same songs I play solo but when we play together the performance is focused on the ensemble sound. The excitement and joy of two or more musicians in the groove, playing the music they love, can't be beat. TK: You and Robert Armstrong have a new recording, released just this year, called Oh, Sweet Mama! Please talk about the CD and about working with Robert on this recording. SS: My last two CD's, Classics and ClassicsII, featured classic popular cowboy songs, both traditional and from the singing cowboy era of Hollywood. Early cowboy entertainers were often influenced by a wide variety of popular music including blues, pop songs, novelty, jazz and ethnic music and included them in their repertoire as well. The songs on Oh, Sweet Mama! are a mixed bag of originals, country blues, old-time string band, pop and traditional western music. Some of the songs are very obscure. Robert adds his instrumental virtuosity as well as some wonderful vocal harmony. Most of it was recorded live in the studio, many tracks from the first take. The joy we share playing this music together shines through on this one. We think it really captures the sound and feeling of early 20th Century rural America and showcases what we do best. TK: Many schoolchildren have been educated and entertained by your performances. Some performers aren’t comfortable with children, but you seem to enjoy playing for them. We at the Western Folklife Center think it is important to not only expose children to cowboy music, but also to teach them something while they are being entertained. How do you do both so well? SS: The key to my success as a children's entertainer is to just be myself. Be at ease and have fun. Keep the show fast-paced and involve the kids in the show as much as possible. Kids love physical comedy and they like to be tested. If you want them to listen to you, you have to listen to them. I catch them off guard. Because I'm having so much fun myself, they can't help getting caught up in the fun too. And in the process they end up discovering and appreciating something about the culture I am sharing with them. TK: What are the differences in performing to children and adults? SS: Of course the material you choose is going to be different. I enjoy entertaining for both groups but children are definitely more of a challenge. Learn more about Sourdough Slim at sourdoughslim.com, and follow the links to purchase his newest recording, Oh, Sweet Mama. 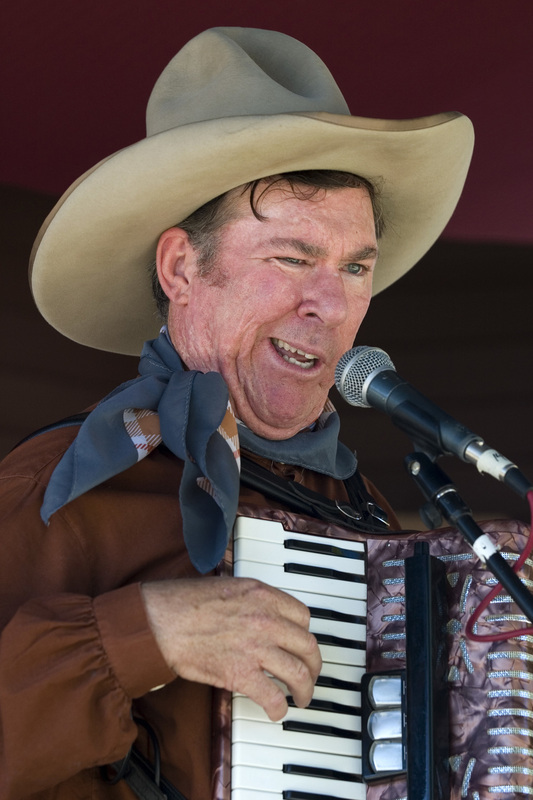 You can also meet Sourdough Slim in person at the 28th National Cowboy Poetry Gathering, January 30 – February 4, 2012.